The Rodeo City Rollergirls will host the Aftershocks Roller Rebels for their first home bout of the 2018-2019 season. 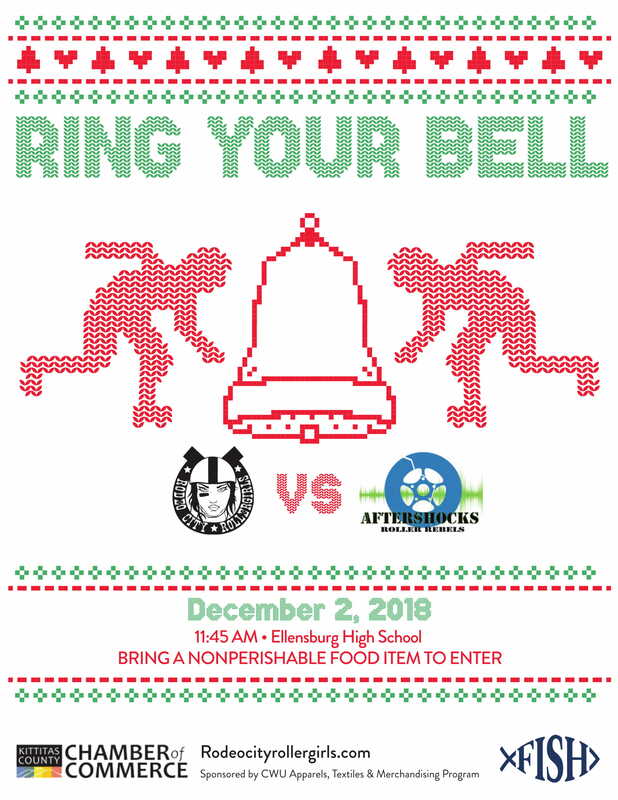 The bout starts at 11:45 a.m. Sunday, December 2nd at Ellensburg High School. Doors open at 11:15 a.m. In lieu of an entry fee please bring a nonperishable food item that will be donated to FISH Food Bank.